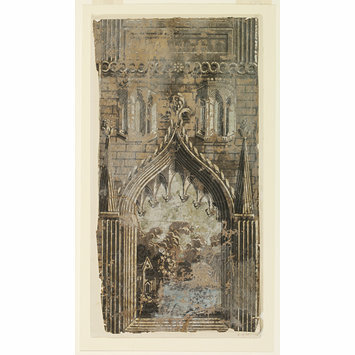 Fragment of scenic wallpaper with a design of a gothic gateway opening onto a scene with trees and a small building; Colour woodblock print, on paper. 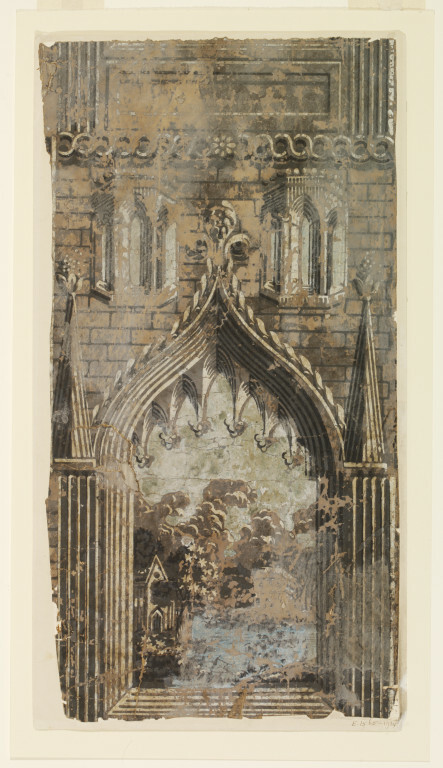 Fragment of scenic wallpaper with a design of a gothic gateway opening onto a scene with trees and a small building; Colour woodblock print, on paper; English; ca. 1830-40.